Gambrel roofs are typically found in barns, but they look fantastic on homes as well. The lower side of a gambrel roof has an almost vertical, steep slope, while its upper slope is lower. A gambrel roof has ample space underneath it, so it provides more usable space than other roof designs. Dutch colonial, Georgian and farmhouse homes have gambrel roofs. Asphalt shingles, metal and slate look great on a gambrel roof. A gable roof is one of the most common roofing types in the country. When a child draws a simple picture of a house, with a triangular shaped roof, they are drawing a house with a gable roof. This roof style has a triangle shape, formed by two slopes that meet at the top. It’s easy to build and install for an expert in roof repairs and roof replacements. Home styles such as Colonial and Cape Cod look great with a gable roof style. 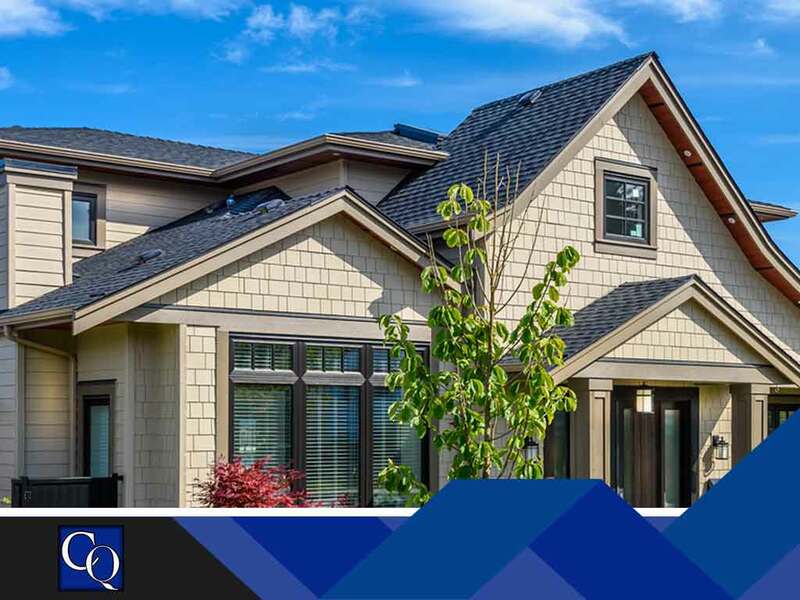 In terms of roof materials, asphalt shingles, wood shakes and slate are good choices for a gable roof. A hip roof has slopes on all four sides and has a gentle pitch with its sides sloping towards the rest of the house. Compared to other roof styles, it’s more complicated to construct, but it is more durable. Because of its geometric shape, not all types of roof vents are guaranteed to work with it, so a contractor should pay attention when replacing a hip roof. Hip roofs can be found in French-inspired or Mediterranean architecture. Clay, tile and asphalt shingles look good on hip roofs. These are just some of the many possible roofing types for a home. If you need help identifying which roofing material or roof color looks great on your roof’s particular shape, then don’t hesitate to give us a call. We have many years of experience in roof inspection and roof replacements. We built our reputation on educating our customers and providing them with the best service possible. Call us at (850) 634-4007 to learn more about our services and products or to get a free estimate. We serve Crestview, FL, and nearby areas.